How Do Oak Leaves Affect pH? The pH scale determines the acid and alkaline levels in soil. Soil pH can be as low as 0.0 and as high as 14.0. Acidic soil has a pH level between 0.0 and 6.9, with 7.0 representing neutral levels. Any pH readings between 7.1 and 14 are alkaline. When added to soil, oak leaves and other modifiers can have various effects on these pH levels. Fresh oak leaves are acidic. When an oak leaf first falls from a tree, the pH of the leaf is acidic. Freshly fallen oak leaves have a pH between 4.3 and 5.3, depending on the cultivar. 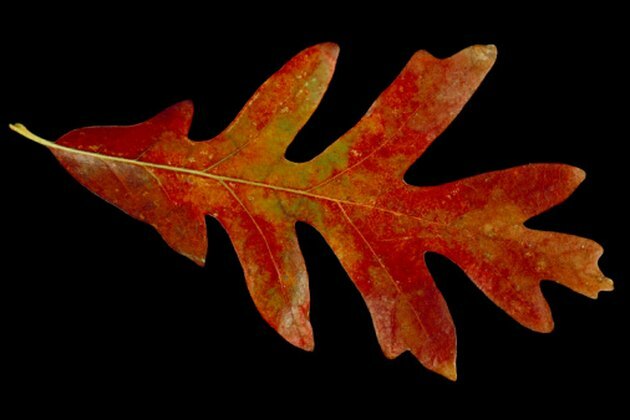 The Scarlet Oak leaf is the most acidic and the Chestnut Oak leaf, the least. Oak leaves added to the soil in their freshly fallen state lower the pH of the soil -- somewhat. Unfortunately, the addition of oak leaves is not as effective as adding a modifier such as sphagnum moss. In addition, any acidity that does leach into the soil neutralizes quickly. The longer the oak leaves remain in the soil, the more alkaline they become. Because the acidity of freshly fallen oak leaves is short lived, they are ineffective as pH modifiers. For instance, soil that has a pH of 7.0 or above is not adequate for plants that require an acid soil. Adding fresh oak leaves to the broken soil may satisfy the plants for a short while, but over time the plants will fail to thrive as the oak leaves begin to decompose and the soil pH rises. Like all organic matter, oak leaves eventually decompose in soil. This decomposed matter or "organic mulch" serves as food for micro-organisms that live within the confines of the soil. As the micro-organisms feast on the decomposing oak leaves, the pH of the leaves begins to rise and nitrogen levels in the soil fall. Plants that depend on this nitrogen will succumb to soil deficiency. The addition of a nitrogen fertilizer makes up for this loss. Despite their inability to adequately acidify soil, oak leaves are highly beneficial. Decomposing oak leaves help balance soil temperatures within a comfortable range for microorganisms. Plants thrive in loose soil and the higher the microorganism populations, the more granular the soil. Oak leaves also work well as mulch, serving as an insulator that protects plant roots against fluctuating air temperatures. 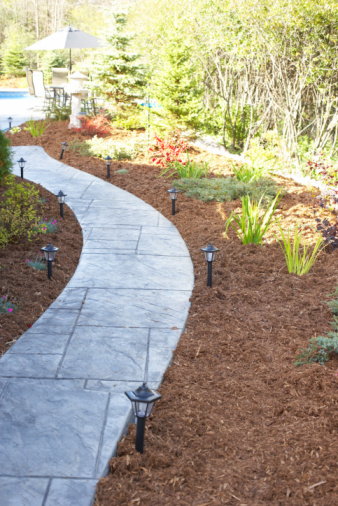 Applied immediately after watering, oak leaf mulch will also improve water retention in the soil. Can You Die From Poison Oak?